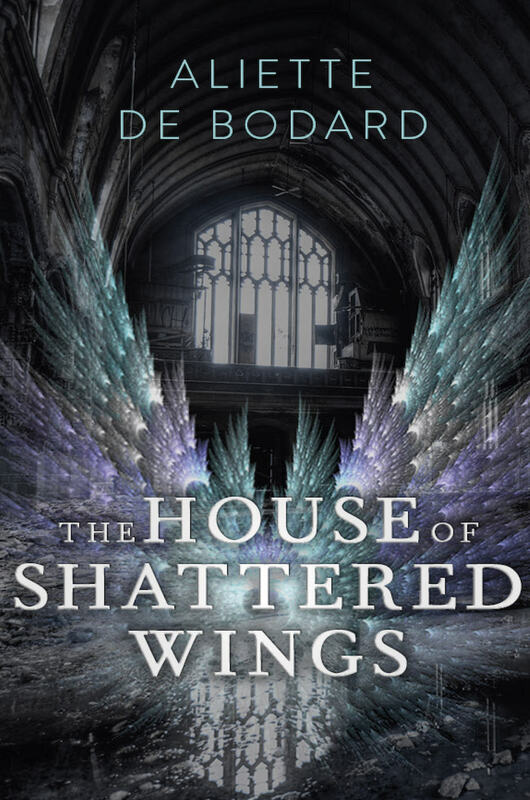 I was very excited to read Aliette de Bodard's The House of Shattered Wings. I enjoyed de Bodard's short stories; she writes science fiction with a feminist, Vietnamese perspective that I love. I was excited to see what she would do with a fantasy novel set in Paris some time after the end of an alternate version of World War I. The House of Shattered Wings focuses mostly on the inhabitants of House Silverspires, a group of fallen angels (Fallen) and humans (Mortals) that live and work together. The house's power comes from its founder, Morningstar (Lucifer), who set great wards and shields over it before he disappeared 20 years ago. Now, House Silverspires is under attack by an unknown force, and the other houses in Paris are more than willing to take advantage of any weakness. This novel is both a fantasy and a mystery; the characters spend much of the time trying to understand what is threatening Silverspires, even as they wield magic and deal with the politics that are mainstays of any fantasy novel. I like this combination a lot as it forces readers and characters to focus on motivations and there's less about the procedure and run of events. There is a lot going on here - possibly too much for me. I liked that de Bodard just dropped us into her world and gave us very few footholds to understand the background or history of her setting. She clearly knows much more about the Paris she created than she chooses to share with readers. I love when authors do that! But this world was, for whatever reason, very complicated for me, and I often became confused. For example, there are both Fallen and Mortals in the book, but I could not really keep track of which characters were Fallen and which were not. And then it seemed like humans could wield magic, too, so I was confused by that, since at other times, I thought it seemed like humans had no intrinsic magic of their own. And there were so many flashbacks, and I didn't know how far back the flashbacks were taking me. Twenty years? Sixty years? 300 years? It depended on the character, and I became quite muddled. Another thing that stood out to me in this book was the way de Bodard brought in colonialism. One of the main characters, Phillippe, is Vietnamese and has a magic unlike anyone else in the story. He is immediately treated with suspicion, as an outsider, and he in turn does not feel bound by the laws and loyalties other characters have. He was brought to Paris to fight in a war he did not believe in, dragged from his home and given very little in return for the sacrifice. He makes so many comments about colonialism throughout the book, how even very wonderful and kind people benefit from the system and keep it propped up, so that one side can continue to gain more than the other. This is mirrored in the relationship that Fallen and Mortals have. Fallen don't seem to care much at all about humans; they view them mostly as expendable. The problem I had with Phillippe, and with all the characters, really, was that I didn't feel like I knew any of them. It's hard to justify that statement, since the book is 400 pages long. How could I spend so much time with these people and not know them at all? And honestly, I don't know. They interacted but never trusted each other, so it was hard to see a lot of connection between anyone. They all had very different back stories, and I didn't learn any of those very well, so that made it difficult. And none of them really liked each other, so we rarely saw anyone with their guards down or willing to say anything honest or true to each other. It was hard to break through. There are a few shorter prequels to this book that I think I will check out in the hopes of understanding the characters and the setting a little better. The House of Shattered Wings is the first book in a series, though it can stand alone pretty well, for the most part (in that the main mystery is solved, though there are quite a few loose ends). I definitely plan to continue with the series; I hope at some point the plot will take us to Vietnam! But there's a long wait before the next book comes out, and this was a complicated story, so just something to keep in mind. This is a new to me author, but you have me curious, Aarti. I may have to look for some of the author's short stories as well as give this one a try. Honestly, Wendy, I would start with the short stories. I think they are a better introduction to her. Though she also has novels set in Mayan Peru, so those could be worth checking out! >> And none of them really liked each other, so we rarely saw anyone with their guards down or willing to say anything honest or true to each other. It was hard to break through. Exactly, exactly this. I think one of the most important ways that an author gets a reader to like characters is by showing that other characters like them (and why). When this doesn't happen, it's hard to get a sense of who they all are. Yes! I agree completely. I also didn't really think they were friends, so hard to really feel the sense of loss the other character felt at the death. Basically, there were not many feelings. Oh, I have not heard of this author... Have you read a short story collection by her or just scattered ones? This book doesn't sound like my thing but I'm going to have to check out her short stories! I have this on my TBR.....now I'm not sure what to do with it!